Oil of cinnamon is one of the natural remedies for indigestion. Used mostly in cooking throughout the world, is comes from a topical evergreen tree growing in the rain forests of India, Sri Lanka and the Philippines in addition to the West Indies. In herbal medicine, the reddish brown bark and young cinammon twigs are cut and allowed to ferment in the fields before gathering for drying. Oil of cinnamon can be used as an oil added to water or as a tea, or grated onto food. 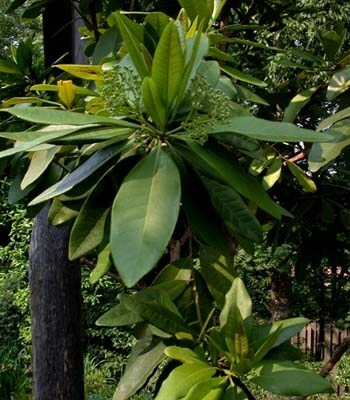 It is used as a digestive aid and to fight HIV/AIDS, to stop uterine bleeding and to prevent heart attack. Fibroids and menstrual problems. Tinctures can inhibit platlet clumping which allows for a more normal blood flow during menses. Indigestion. Relieves intestinal gas, both teas and tinctures are equally effective. Liver cancer. Camphornin and cinnamonin, which are chemicals in cinnamon, have been shown in lab tests to stop the growth of liver cancer and melanoma cells. They deactivate plasmin, which allows cancer cells to infiltrate surrounding tissues. Also stimulates tumor necrosis factor (TNF) an immune system agent that kills cancer cells. Peptic ulcer. Stops the formation of stomach uncers without interfering with the production of gastric acid. Yeast infection. Whole cinnamon, taken in tea or tincture is effective for yeast infections that are resistant to fluconazole(Diflucan). Useful for oral thrush (yeast) as well as gum disease gingivitis. This herb can be used as an tea, tincture or as a grated spice in food. Men with prostate problems should avoid cinnnamon. People allergic to balsam of Tolu should avoid oil of cinnamon due to cross reactivity (allergy to one can cause allergy to the other).